'Secret Showcase' NEW release set for October 10th! 'Secret Showcase' is a CD/DVD of a live performance at the studio of RTV Noord-Holland. The CD will contain about 60 minutes of music and the DVD will contain about 60 minutes of video material. This release will be packed in a digipack to give it a final deluxe look! PRE-ORDER YOUR COPY NOW at our shop,for on the titles for ordering: 'Secret Showcase'. Moon Drive' (2cd) re-release out on September 22nd! 'Moon Drive' will be upgraded with a second disc and the whole release will containing over 60 minutes of bonus material including demo's and live tracks. The release will be packed in a re-designed digipack to give it a final deluxe look! PRE-ORDER YOUR COPY NOW at our shop,for on the titles for ordering: 'Moon Drive'. Titles in bold are never before released. 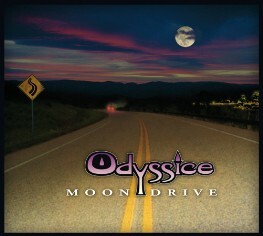 and 'Moon Drive' (2cd) re-release! 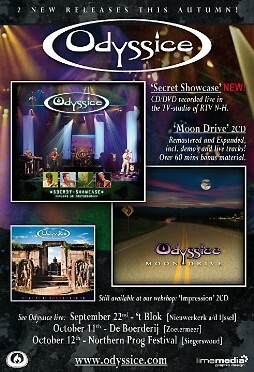 The NEW release of 'Secret Showcase' (cd/dvd) and the re-release of 'Moon Drive' (2cd) will be available this Autumn. 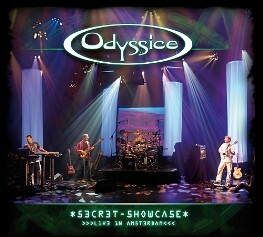 'Secret Showcase' is a CD/DVD of a live performance at the studio of RTV Noord-Holland. The CD will contain about 60 minutes of music and the DVD will contain about 50 minutes of video material. Both releases will be packed in a (re-designed) digipack to give it a final deluxe look! PRE-ORDER YOUR COPY NOW at our shop,for on the titles for ordering: 'Secret Showcase' & 'Moon Drive'. 'Silence' CD, only a few copies left! We just reseved the last final copies of 'Silence' from our record company in the UK. 'Silence' is our latest studio album released in 2010 with some great songs, such as 'Chinese Waters', '21', 'Continental Motions' and 'Flags Without a Heart'. The CD won't be available at your recorddealer anymore, only at our webshop. We have only 50 copies, once these are sold the CD will be out of print! To order 'Silence' click here! 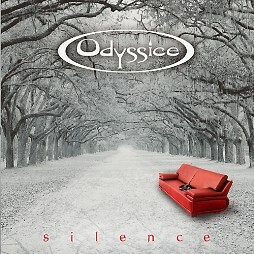 Odyssice will perform three times live this Autumn! After three years of silence and the departure of bassist Peter, Odyssice will perform on September 22th in 't Blok in Nieuwerkerk a/d IJssel, October 11th in De Boerderij in Zoetermeer and at the Northern Prog Festival held in 'De Uthof' in Siegerswoud (in the north of The Netherlands). Due to the absence of a bassplayer Sven de Haan (ex-Salmon/ex-Knight of the Progs) is willing to help us out and will play the bass. In September 22nd will be together with Day Six, October 11th will be opening for La Villa Stangiato (Italian Rush coverband)and the other bands at the Northern Prog Festival are Pink Faces, The Aurora Project, Minor Giant and Leap Day. We all hope to see you on one of these nights or maybe all of them! re-released October 26th 2012, NOW AVAILABLE! 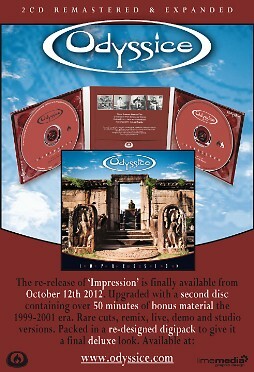 The re-release of 'Impression' is finally available. Upgraded with a second disc containing over 50 minutes of bonus material from the 1999-2001 era. Rare cut-, remix-, live-, demo- and studioversions. Packed in a re-designed digipack to give it a final deluxe look! Order your copy now at our shop!